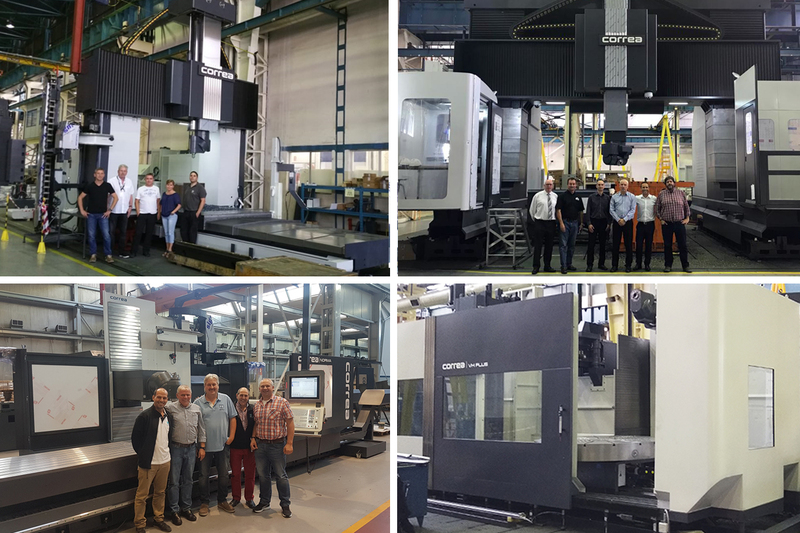 Last week of July, our German customer OMS came to our Burgos factory for the reception of the FOX-40. This German company is specialised in machine welded and machined structures has acquired a bridge type machine FOX with universal indexed milling head UAD. During September, there have been three product run-offs. On September the 21st, it took place the reception of a milling machine VERXA MW for the Bristish company Babcock International. Gantry milling machine VERXA MW design and thermal symmetry combined with a W axis, unique in the market, make this machine the ideal solution for machining high volumes, keeping a high level of dynamics and chip removal. Last week of September, German company LKS Maschinenbau, also, visited GNC Hypatia for the run-off of its new milling machine NORMA. LKS has acquired a bed type machine NORMA-45, a flexible machine suitable for machining and finishing operations. Finally, on the 27th, it was the reception of a VH-Plus milling machine for the French customer Gonzales.